Guaranteed complete with nothing clipped. This comic has been professionally graded by an established comic shop and assigned an Overstreet grade level of 6.0 (fine). Picture shown is of actual book and not a file photo. 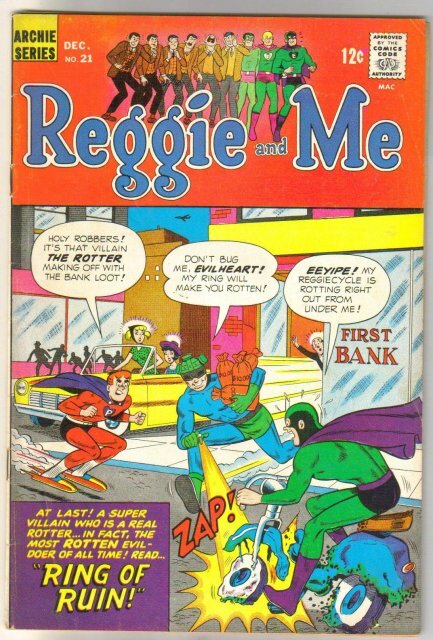 Items Similar To "Reggie and Me #21 comic book fine 6.0"
Archie Series Comic Reggie and Me, March no 28, 1968. Archie Series Comic Reggie and Me, March no 34, 1969.